The perfect way to give your body a shot of nutrient rich super-fruits! I drink this regularly around spring time, or whenever I need energy or feel like my body needs a boost of antioxidants and vitamins. I like to make these in the morning, pop them in a mason jar and sip on my way out! 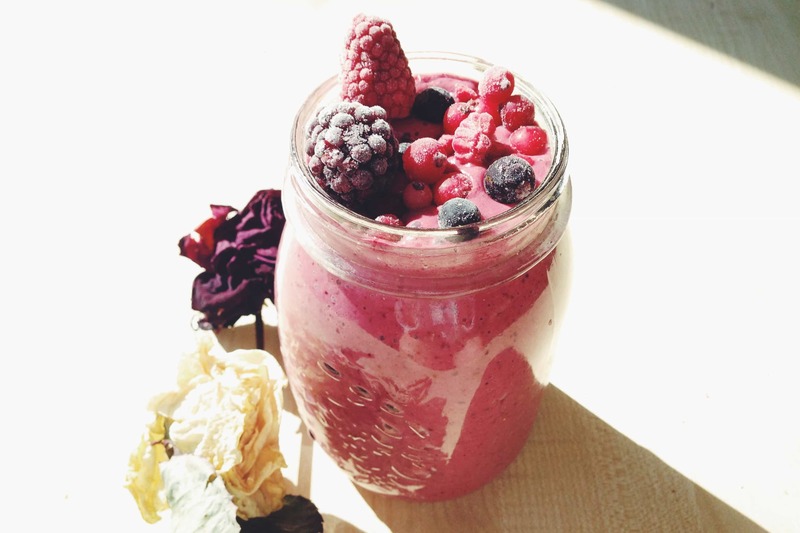 You will need a good blender, and a bag of frozen summer fruits. I like to use the Waitrose British frozen summer fruits, because it contains the first four ingredients together and it’s easy to store, but you can find a frozen berry mix at just about any grocery store. This recipe is super quick, and berry delicious. Add everything into your blender and blend away! You can always add more or less milk to create your desired consistency! More yogurt means the smoothie will have a more creamy consistency. Enjoy, and don’t forget to send us a picture if you try this out. For more delicious and nutritious recipes, look through our blog!